Don’t be deceived. They have plans on programs in nursing, engineering, and computer science. This is the first shot in the demise of UMass Boston – unless we take a stand. 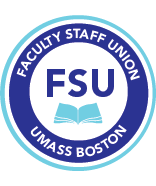 Did you know that despite UMass President, Marty Meehan, stating that he will help UMass Boston with our legacy debt once we got our finances in order, he has not? Or that UMass Board of Trustees Chair Robert Manning’s similar statement to use some of the Bayside sale to help us with our legacy debt will not come to fruition? Higher parking and tuition fees are the result of these unfilled promises. There are further budget cutbacks pending, and more staff has been laid off. The Board of Trustees will meet this Thursday at 10 am in an emergency meeting to decide the fate of Bayside. Are you angry about the lack of transparency, input from the UMB community, and lack of support from the UMass System? 9-10 am: Protest outside the building our lack of input at our university and for our educational mission, and the lack of support from the UMass System. 10 am+ : Board of Trustees Meeting. 1 Beacon Street, Boston. 32nd floor, University of Massachusetts Club. Note: bring your ID in order to enter the building and attend the meeting. Let us know if you can attend by emailing fsu@umb.edu. We need a requisite number to make a difference. Support the urban mission, and hold the Board of Trustees accountable.